How to give Japanese Time Periods using Japanese Numbers? 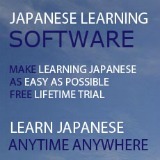 Over here you can learn to use Japanese numbers to give Japanese time periods such as hours, minutes and seconds. 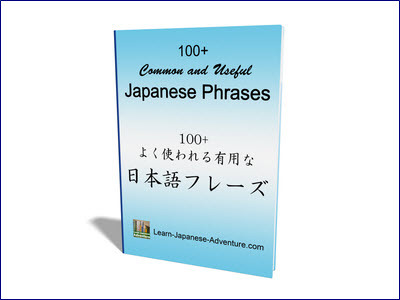 It's quite simple to give time in Japanese once you know about Japanese numbers. 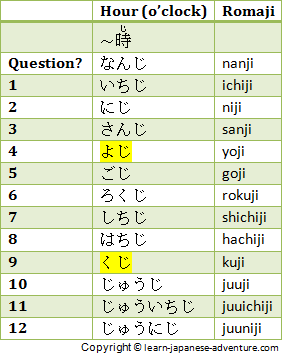 To tell the hour in Japanese, you just need to append 時 (ji) to the number. 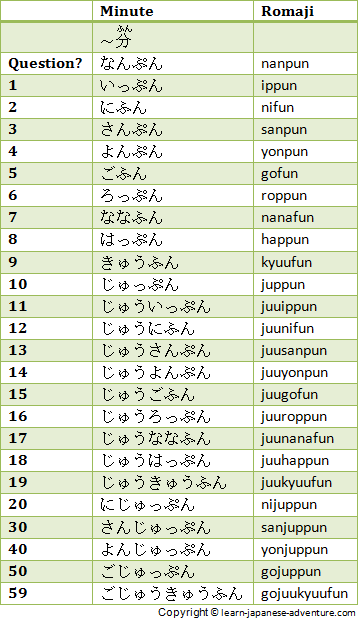 Similarly, to tell the minute in Japanese, you just need to append 分 (fun or pun depends on different numbers) to the numbers. 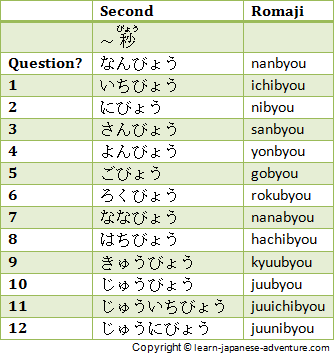 Follow the same rule to tell the second in Japanese. Append 秒 (byou) to the number. However most of the time you won't need to give the seconds of the time. The table above shows the readings for hours. Take note of the different pronunciations required for the highlighted hours. Four o'clock is pronounced as よじ (yoji), not よんじ (yonji). Nine o'clock is pronounced as くじ (kuji), not きゅうじ (kyuuji). The table above shows the readings for minutes. Take note of the different pronunciations required for seconds ended with 1, 3, 4, 6, 8 and 10, which are pronounced as pun. The rest are pronounced as fun. As the pronunciations are the same, the minutes from 21 to 29, 31 to 39, 41 to 49 and 51 to 58 are omitted in the table. The table above shows the time expressions combining both hours and minutes. 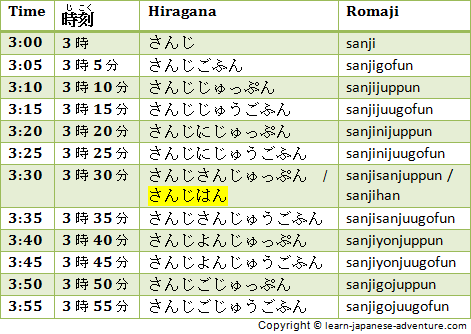 Take note that usually 3:30 is pronounced as 三時半 (sanjihan), instead of 三時三十分 (sanjisanjuppun). 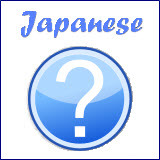 How to Ask Time in Japanese? Meaning: What is the time now? While it is pretty obvious that the time is in the morning or afternoon for both the speaker and listener, 午前 (gozen) and 午後 (gogo) are not normally not used during a dialogue.